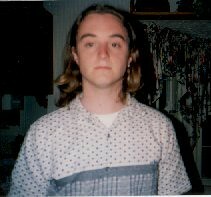 When I entered my freshman year of college I had a nice short haircut. I figured that this would be the last few years before I entered the work force and would need to be presentable. I decided to just not cut my hair for a couple years. This is what it looked like. I kept telling myself that it would look cool later. I was wrong.